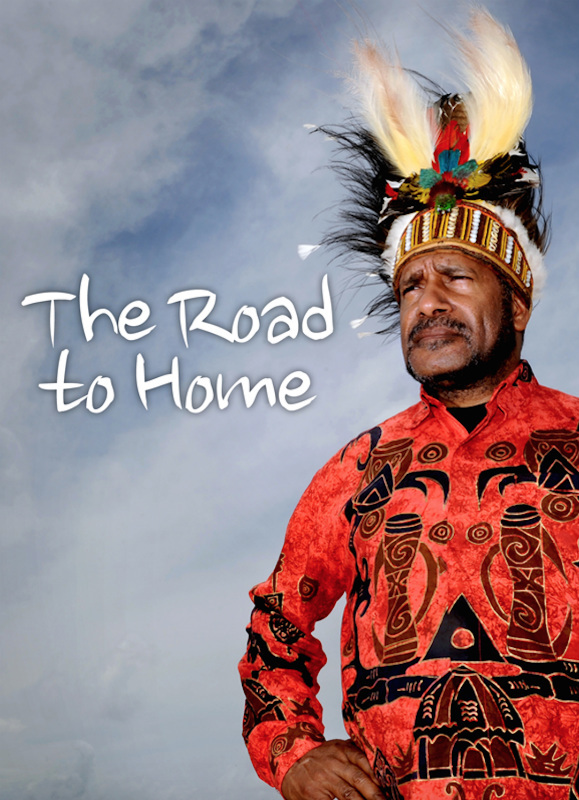 On behalf of my people I would like to wish you all a very Happy Christmas and a Happy New Year. 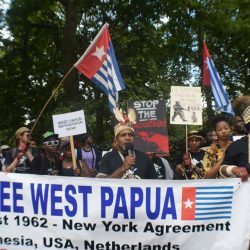 This year we have all made small steps and huge strides down the long road to freedom and we can all be very proud that 2015 has been a very important year for West Papua. 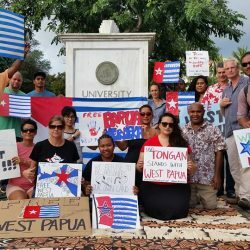 This year our voice has certainly begun to be heard by parts of the International Community and solidarity for West Papua’s freedom from individuals, groups and organisations has increased right around the world. 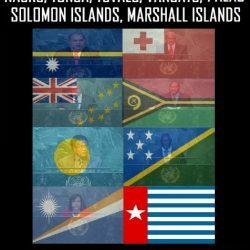 Along with the granting of key Observer Membership of the Melanesian Spearhead Group for the United Liberation Movement for West Papua (ULMWP), there were historic speeches supporting us at the United Nations as well as many other important Free West Papua events in 2015. 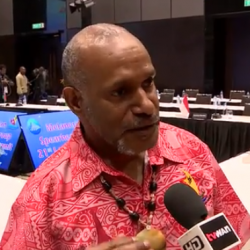 However while support for our freedom has increased around the world, the human rights situation in West Papua in this year has rapidly deteriorated. 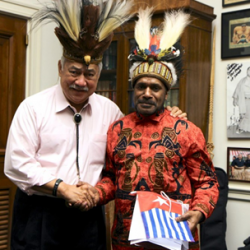 It was recently found that human rights abuses in West Papua have increased during the first term of Indonesian President Joko Widodo and in fact the Human Rights Commission has found that in 2015 over 700 West Papuans were persecuted by the Indonesian State. 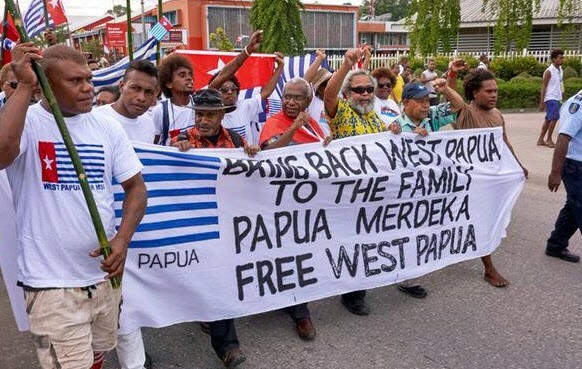 Over 400 West Papuans were arrested just for demonstrating in support of West Papua joining our Melanesian Spearhead Group and just 3 weeks ago, 4 West Papuans were killed and 8 more shot just for raising the West Papuan national flag in Yapen. 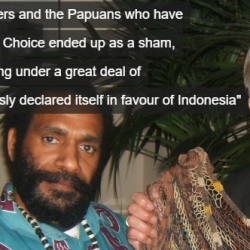 Now we West Papuans cry under Indonesian colonialism. 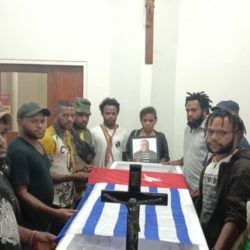 We cry under the illegal occupation of our country and the genocide of our people but we have hope. We have confidence in humanity that we are not alone for you are all with us and your support means so much for us as people who have been kept suffering in silence for so long. 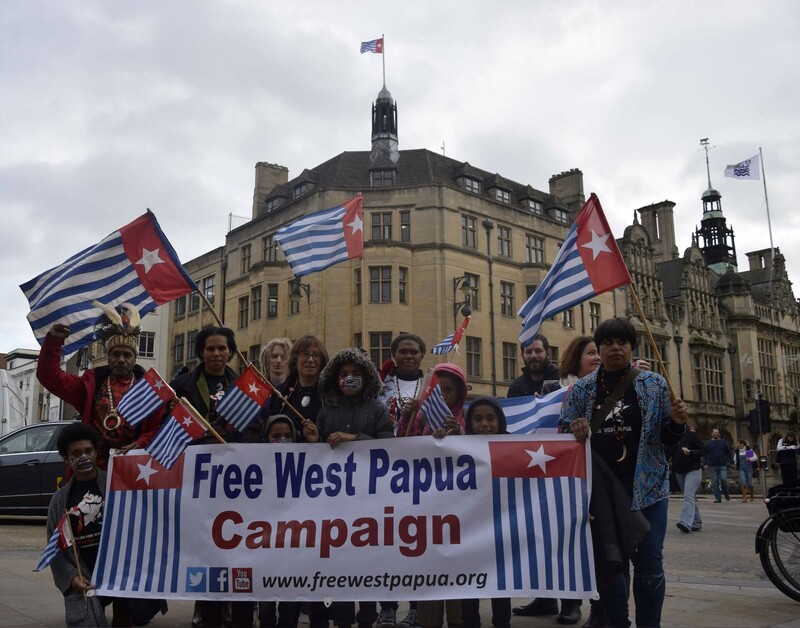 Therefore in 2016 and onwards please do continue with all your incredible and passionate support and solidarity for West Papua’s freedom, support that is increasing every day around the world. Please tell your friends, your family, write to your representatives and join with other supporters in spreading the message far and wide. 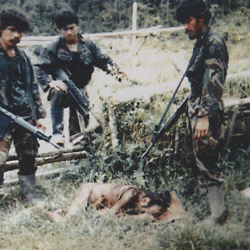 I would like to thank you all for all this tremendous support in helping my people to be finally free and once again, I would like to wish you all a Happy Christmas and a Happy and Peaceful New Year. 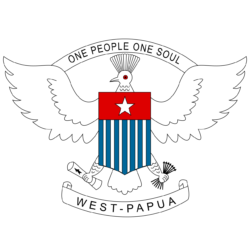 Let us all look forward with hope and confidence, knowing that because of this struggle we will one day celebrate a Free and Independent West Papua.